We are now in our second week of the Preparation Camp and we are starting to see more teams come through the kitting out process; others will stay on campus for training and further preparation. Some large teams have already come through kitting out, rowing, sailing and cycling to name a few and it has been fantastic to be a part for their preparation for the London 2012 Olympic Games. Picture of the Team GB Triathletes outside Sir Dennis Rooke. 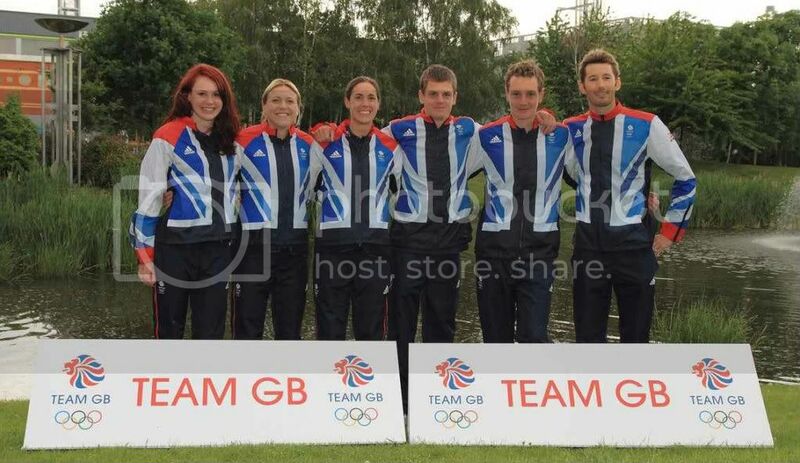 We are stil looking forward to lots more Olympians to come through Kitting Out . Gymnastics, athletics, football and hockey are just some of the teams yet to enter the Preparation Camp and be kitted out by the Medal Makers based there. The Preparation Camp officially opened on Monday 18th June with most of the Team GB rowing team coming through Sir Denis Rooke to receive their kit from the sponsors and partners. 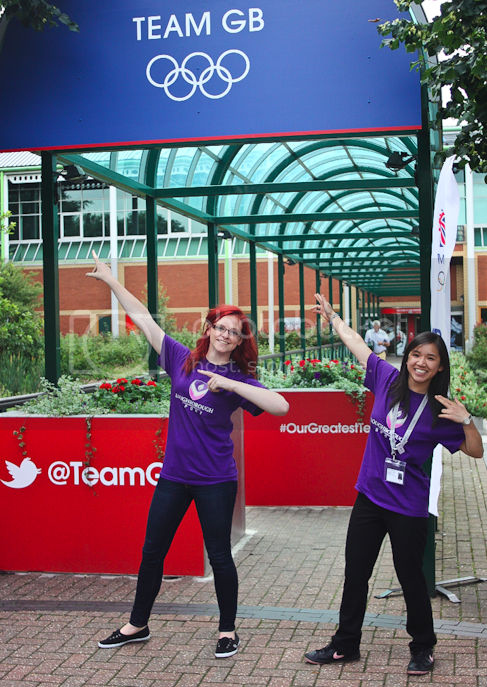 Medal Makers Amelia Tan and Lucy Kettlewell directing athletes to Sir Dennis Rooke where they will recieve their kit. In this first week we have seen athletes from Sailing, Triathlon, Track Cycling, Handball and Basketball.